One of the delights of gardening is growing herbs. They are simple to grow and add tons of flavor to your recipes. 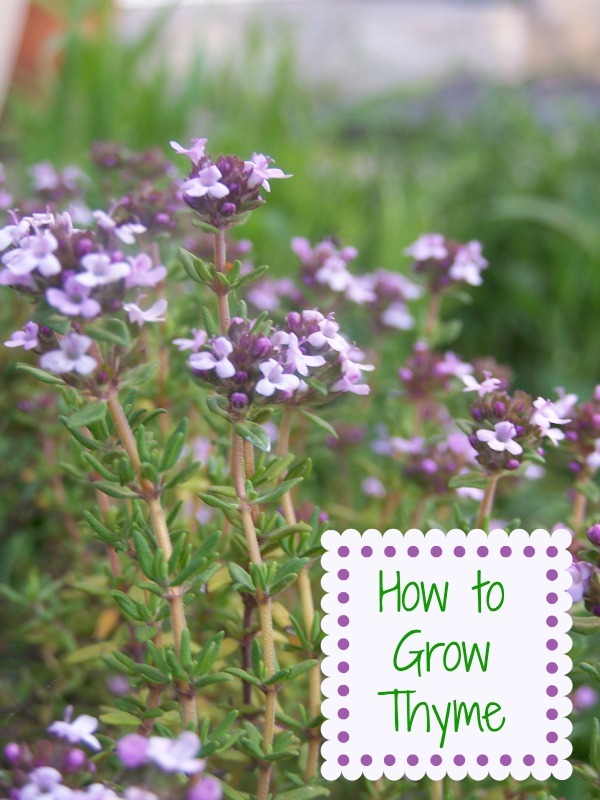 Growing thyme is easy. The plant is a perennial that comes back year after year. It is a fragrant herb that I use in cooking all the time. There are quite a few herbs that are perennials here in my zone 7b garden. Thankfully, thyme is one of them. It does die back in the winter but comes back again every spring, bigger and better than ever. Growing most herbs is very easy. (affiliate link) Time is a perfect one for those who don’t have much gardening experience. I use thyme to cook almost daily. It is fragrant and does not even need chopping. Just strip the tiny leaves off and you are good to go. Thyme loves sun and grows best in full sun. It even gets pretty flowers if the sun is bright enough. Well drained soil is also a bust. Add organic matter to your soil if it is heavy and your thyme will thank you for it. Thyme needs little care except for a regular light pruning each year after the first year of growth. Be sure to do this pruning or the plant will get dry and brittle. Thyme will flower. When it does, but off the top half of the plant and hang it up to dry in a shady place. 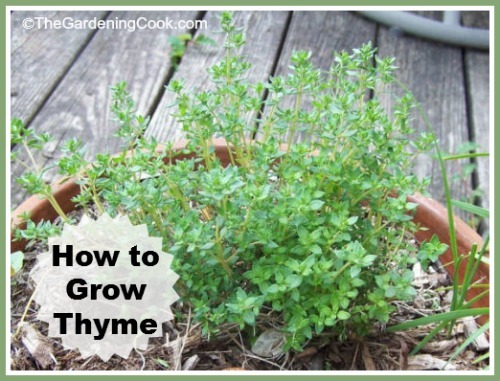 You can also harvest small pieces of thyme all summer long. 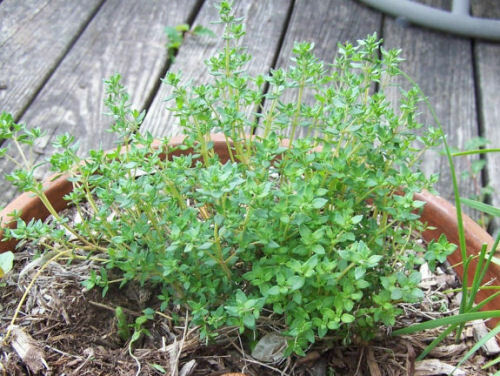 Thyme usually grows to a height of about 6 to 12 inches (15 to 30 centimeters). It takes quite a while for it to fill a medium sized patio container. Thyme is useful in so many ways. It is a wonderful addition to pasta and pizza sauces, stews, and soups, and is especially good with poultry, fish, and eggs. That is all there is to it. Is it time to plant your thyme? Want to mark your herb plants so you know what they are? See my herb planter marker wooden spoon tutorial.